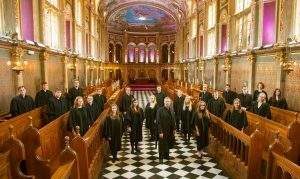 The Choir of Royal Holloway’s annual Christmas concert will feature highlights from Handel’s famous Messiah alongside traditional favourites. The choir features on a major new Christmas album on the Decca Classics label and this concert will present an opportunity to hear some of this beautiful music from Norwegian composer, Ola Gjeilo. Tickets are available through the Royal Holloway Chapel Choir website, with concessions for Senior Citizens and College Staff. Tickets purchased will be held on the door on the evening of the concert.